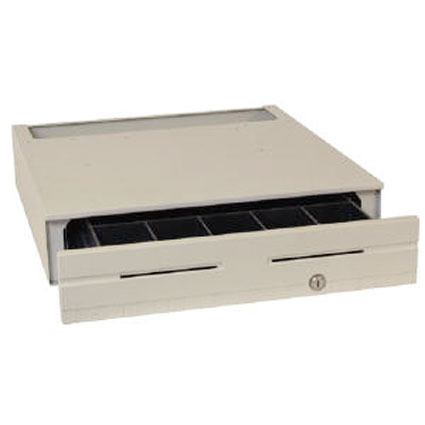 APG Series 6000 family of rugged, attractive cash drawers provides a unique foundation for the POS Workstation. The S6000C drawer works well in applications such as automotive, specialty retail and convenience stores that demand a sharp, low-profile look and rugged, fully-featured performance. All Series S6000C drawers offer dual media slots with spacious media storage and innovative under-till coin roll storage. A sturdy, steel-backed plastic drawer front presents an eye-pleasing alternative to metal.